Ferrari factory original 2000 Ferrari 550 Maranello Sales Brochure. 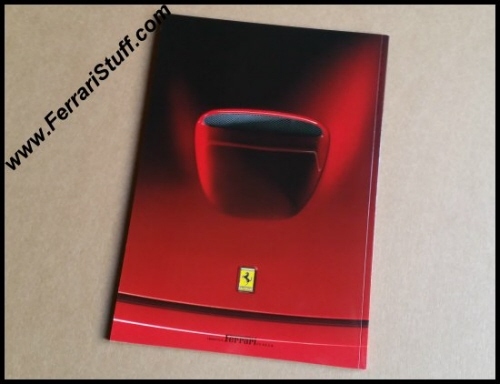 This Ferrari brochure contains 44 pages with stunning photography. 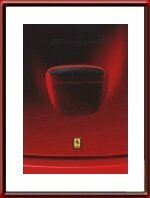 Ferrari Print Number 1150/97 5M-10/00, issued in 1997, printed in October 2000 by Puntografico spa Bs, Italy. 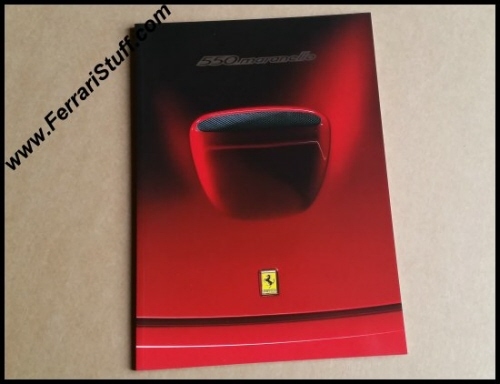 Comes complete with its white, embossed, cover which does have some (very) minor shelf-wear. 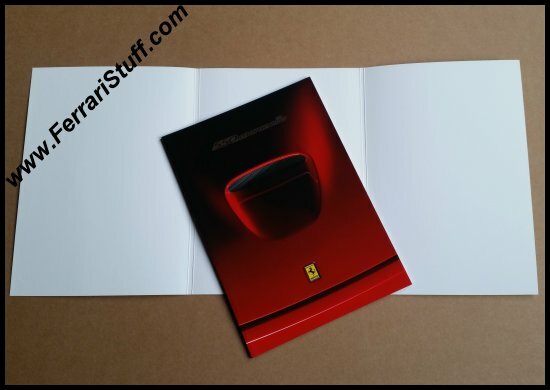 The brochure itself has never been opened and we didn't want to "break it in" just to take pictures of the inside.